It may be your dream that you have a home that’s located in a beach front community. There are lots of reasons that this offers you a boon when it comes to beefing up your retirement savings. Here are some of the reasons that investing in a beach front property may be the right move for you. Home values are on the rise across the country. This means that homes that are desirable are more likely to gain in greater value over the years. Depending on the location of the home, it could be worth a significant amount of money by the time that you decide to sell it. The gains made on the home could more than pay for the cost of the original loan amount and the years of taxes and insurance. Check into the real estate market so that you can make the best financial decision possible. Another benefit is that you can sometimes pay your mortgage with the rental fees. In some instances, you may even be able to generate a profit by keeping your beach front home rented out yearly. 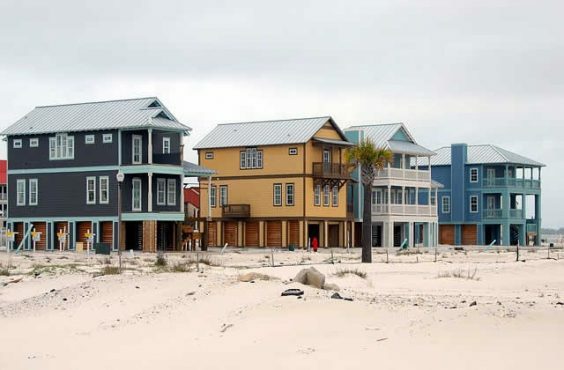 In some markets, there isn’t really an off season when it comes to the desirability of the beach front homes in the area. It’s all about selecting a home that’s close to attractions and taking the weather of the area into account. You wouldn’t have to worry about booking a hotel if you wanted to get away for the weekend. Having a beach front home would allow you to get away at a moment’s notice. Many people are taking advantage of this opportunity by purchasing homes that need a little bit of work. You could renovate something that could become the second home that you’ve always desired. When it comes time for you to retire, you may be able to sell your primary residence and move into your beach home. This would allow you to have the best of both worlds when you’re done with the daily grind. Depending on the attractions in the area, this could be desirable for years to come. Real estate is sometimes one of the most stable forms of retirement income. The value of the home that you purchase is unlikely to degrade if you make a sound financial decision. Owning your own beach front property may be the smart investment decision for your future retirement income.